You are here: Home / American Red Cross / Are You CPR/First Aid Certified? Should Parents Pay for Their Nanny or Au Pair CPR/First Aid Certification? 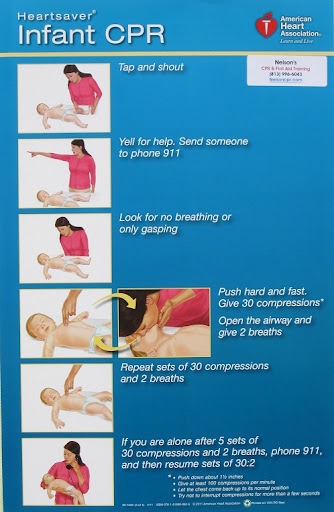 All in-home childcare providers should be CPR/First Aid certified. The American Red Cross First Aid/CPR/AED program is a comprehensive training program designed to help caregivers recognize and respond appropriately to cardiac, breathing, and first aid emergencies. Nannies and au pairs can find a location to get certified, or renew their certification (every two years), by contacting the American Red Cross. Sure am! CPR/AED certified and Pediatric first aid certified. I hope I *never* have to use what I learned, but I'm certainly prepared in the case of an emergency. Most of the time, the breadth of my first aid is dispensing a kiss to make a "boo boo" better and that's the way I like it! A must for healthcare professionals. Certification ensures that all practitioners know their trade well. Additionally, this encourages schools to do better in providing quality education.